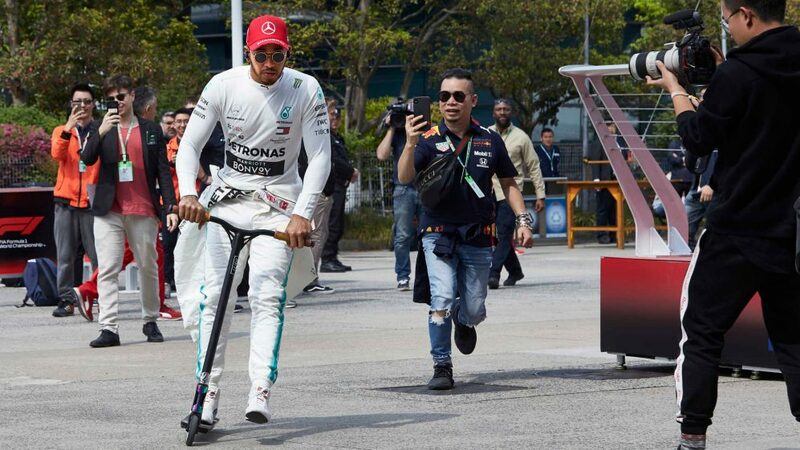 Some will say Ferrari are finding ways to throw away this championship, but that can take nothing away from Hamilton, who has seized a hold on this title race with ruthless efficiency. The Mercedes driver’s latest victory was set up by one of the greatest qualifying laps of his career. It was as close to perfect as most drivers can only dream of achieving. His team chief Toto Wolff said it was “the most epic lap I have ever seen from him”. 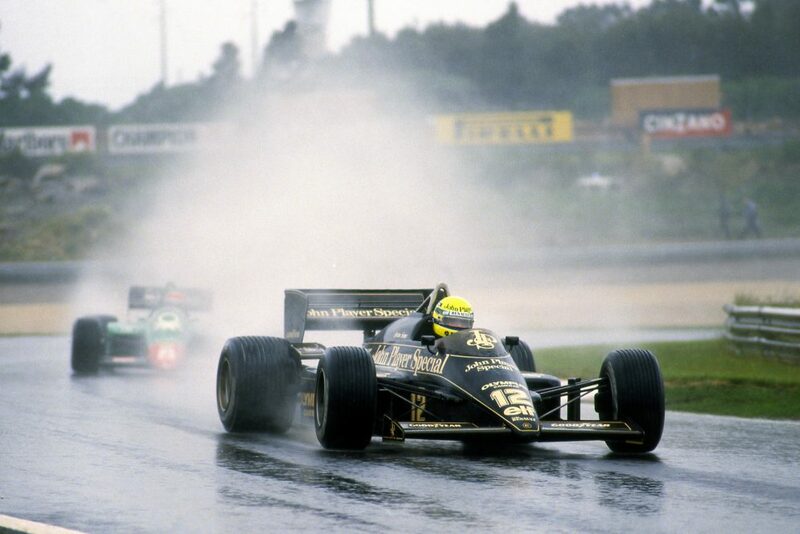 From there, he dictated the race, managing his tyres brilliantly and driving well within himself. On the one occasion Max Verstappen got close, as Hamilton got held up by traffic, he simply upped his game when clear to pull out a gap. It was his seventh victory of his season and more pointedly, his fourth in five races. 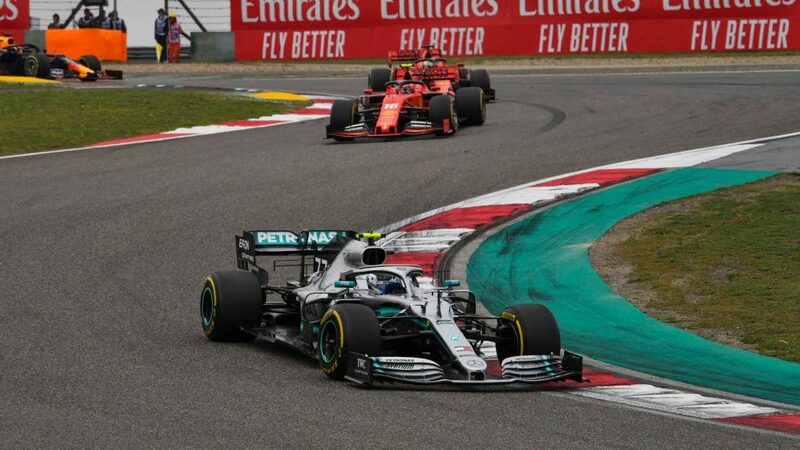 That run of form has allowed him to turn a one-point deficit into a 40-point lead – the equivalent of a win and third place clear of Vettel with just six races to go. Ever since returning from his summer break, Verstappen has been on another level. First there was a podium at Spa, despite it being a power circuit. A five-second time penalty for colliding with Valtteri Bottas meant another went begging at Monza. But normal service was resumed in Singapore. His qualifying lap wasn’t quite as special as Hamilton’s but it was still pretty damn good given his power deficit, especially considering his Red Bull team had detuned his Renault engine in a bid to get on top of the problems that had frustrated him in final practice. Come race day, he took a mature approach to the first corner – perhaps with memories of last year’s first lap crash in his mind – to run second, and though he lost it to Vettel later on the opening tour, he kept his head and reclaimed the position, thanks in part to some slick pit work from his crew. 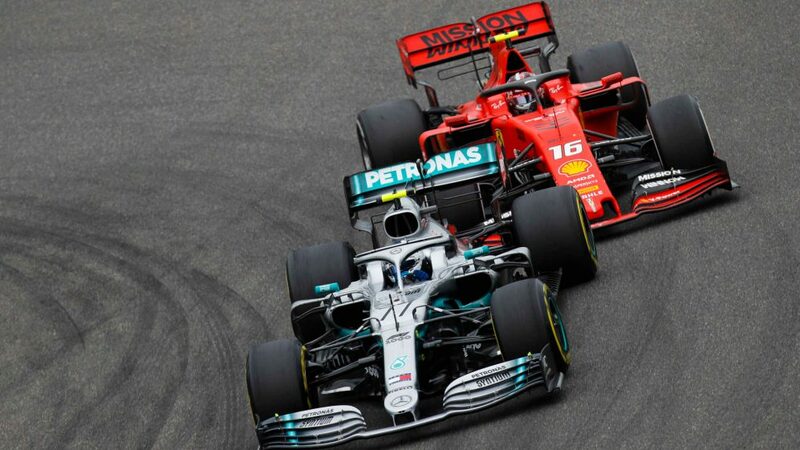 From there he kept race leader Hamilton within his sights, while pulling away from Vettel – who admittedly was trying to nurse his softer ultrasoft tyres to the finish. Second was a fine reward for a blemish-free weekend. Despite only having the third best car, only Hamilton and Vettel have scored more points since the season resumed after the summer break. He matched Hamilton’s leading points tally in the closing six races of last season. Based on this form, he could well replicate that again this year. Fernando Alonso will not have wanted to leave F1, for what might be the final time, on the back of a year like this. 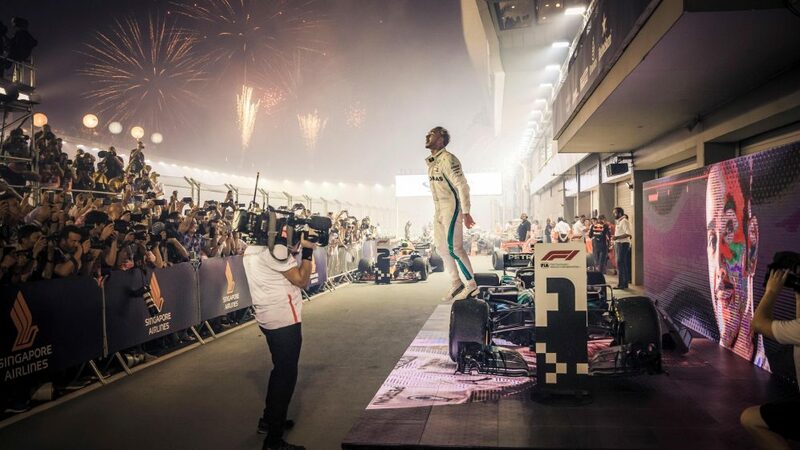 But it is performances like the one he delivered on Sunday that will serve as a reminder of the supreme talent F1 will be missing. 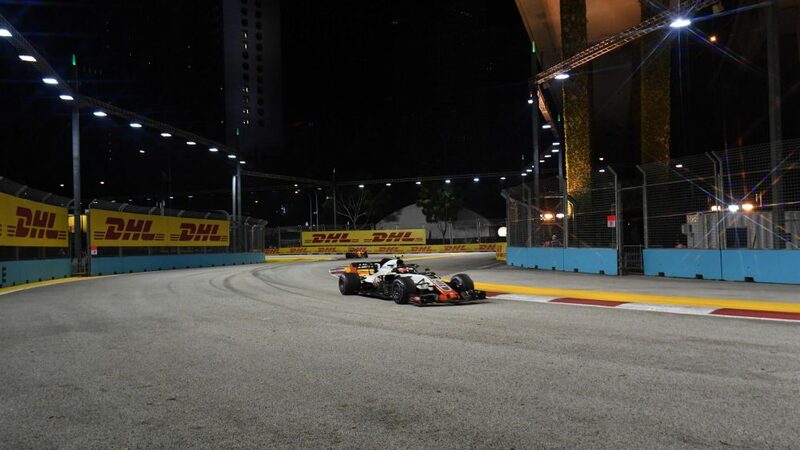 It’s true the slow-speed nature of Singapore’s street track hides some of his MCL33’s failings, but on a day when the three top teams got both their cars to the finish, seventh was a mighty fine performance. He was also the best-placed car not to be lapped. Starting 11th helped, as it enabled him to start on the ultrasoft while everyone else ahead was on the hypersoft. He could then run deep into the race before pitting, allowing him to grab four places and secure his fourth top-ten finish in his last seven races. 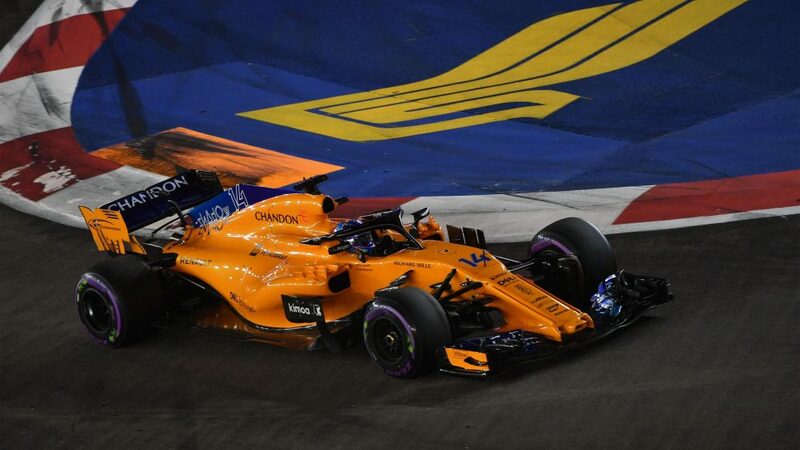 It was McLaren’s best result since Baku and it helped Alonso climb to eighth in the drivers’ championship. That’s quite something considering the pace of the car. He’s now on 50 points, 42 clear of team mate Stoffel Vandoorne. Buoyed by the news of a dream deal with Ferrari for next season, Charles Leclerc ended a five-race pointless streak with a controlled drive to ninth. His early season form garnered praise, but he somewhat went off the boil since losing a potential fifth place when a wheel came off following his pit stop at Silverstone. But after a challenging Friday at Marina Bay, when the team struggled for performance on high fuel and he ripped off a wheel in FP1, Leclerc found a better balance and recovered well. Like Alonso, he utilised starting on the ultrasoft tyre to rise up into the points – giving Sauber points in their ninth difference race this season, matching a feat last achieved back in 2015. McLaren-bound Carlos Sainz has lacked the peaks Renault team mate Nico Hulkenberg has achieved this season, but his consistency has been impressive – only Hamilton and Vettel have completed more racing laps than the Spaniard. 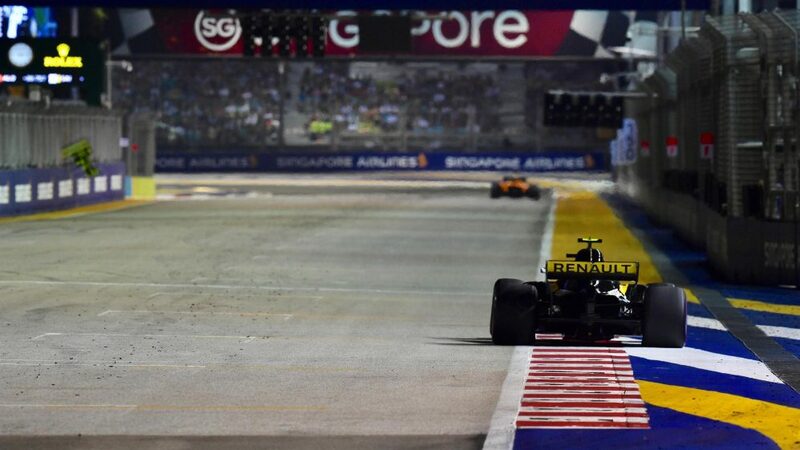 In Singapore, he struggled to get comfortable with the car, but got everything together in the race. He got ahead of Hulkenberg at the start and then made the most of an advantage with tyre strategy to rise up into the top ten. He then drove smartly, attacking and then managing tyres when required to get the most out of the package this weekend. His reward was eighth place for the second time in as many races. 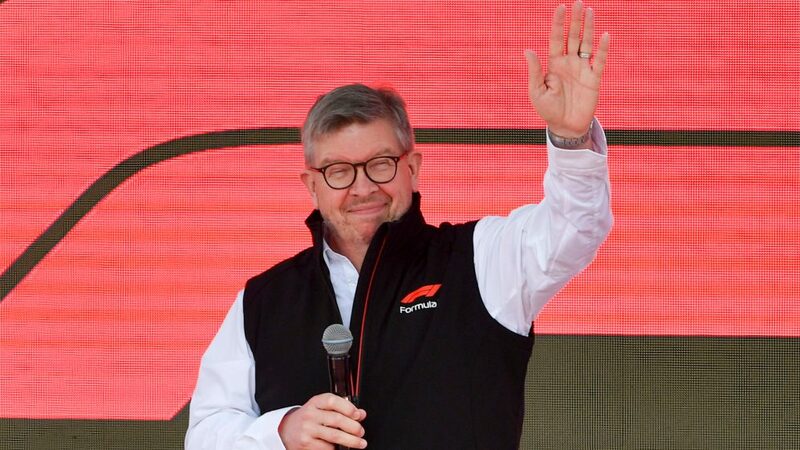 Those four points, together with another from Hulkenberg, helped the team increase their lead over Haas in the battle for fourth place in the constructors’ championship by 33% to 15 points with six races to go. 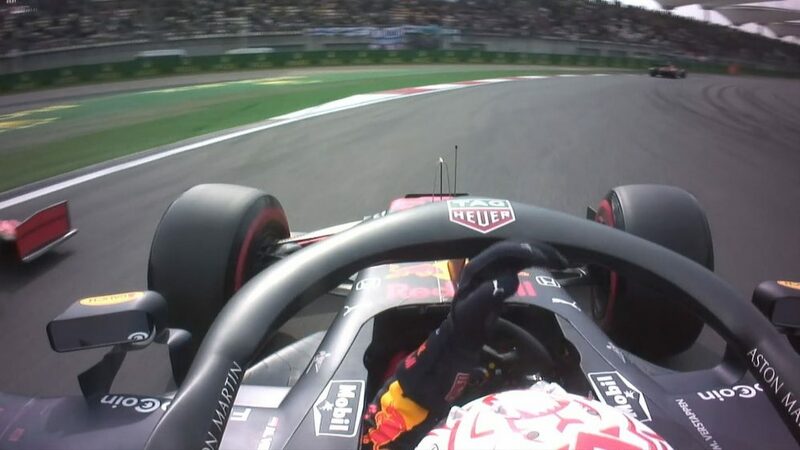 For the second successive race, Vettel finds himself in this section, despite it being another race where he had a package that should have challenged for victory. The Ferrari driver’s title challenge began to fall apart at this track last year, but this year, that downturn seems to have started one race earlier in Italy. To be fair, Vettel didn’t do a lot wrong in the race. But the damage had been done in qualifying. The German’s messy session meant he started third, with chief rival Hamilton on pole. On a track like Marina Bay, where overtaking is tricky, that was a devastating blow. Ferrari did what they could to recover, attempting the undercut with the ultrasoft, but the gamble didn’t pay off and he was forced to nurse the tyres to avoid stopping again. 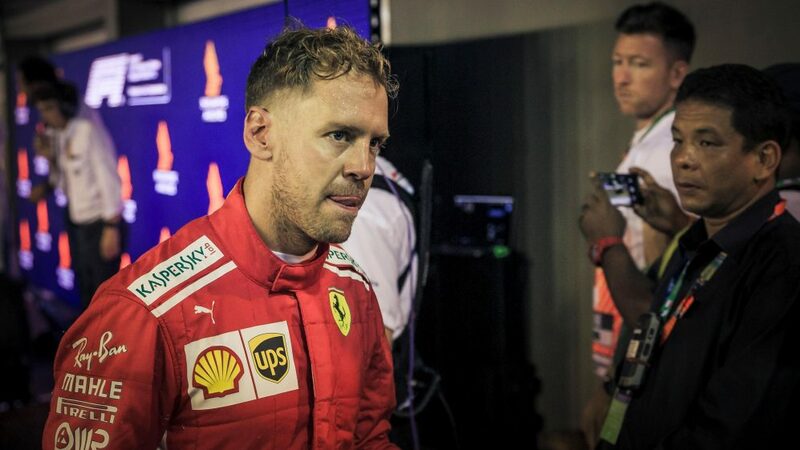 It was Vettel’s seventh podium finish in Singapore in 11th attempts – but that’s scant consolation given he departs Singapore trailing Hamilton by 40 points with only six races to go. Incredible. That’s one way to describe Force India’s start to life as a new entity as they scored 32 points in just two races. But their performance in Singapore on Sunday was incredible for the wrong reasons. Esteban Ocon made a great start off the line, running around the outside of team mate Sergio Perez on the approach to Turn 3. Perez didn’t appear to give Ocon enough room, though, and the pair collided. Perez continued (only to clash again with Sirotkin later), but Ocon ended up in the wall – his race over. “It’s unacceptable,” said Team Principal Otmar Szafnauer. This is not the first time they’ve come together, of course, but it has been a year since the last occurrence – and that led to a ban on racing. After the latest incident, Szafnauer has hinted there could be a return of team orders. 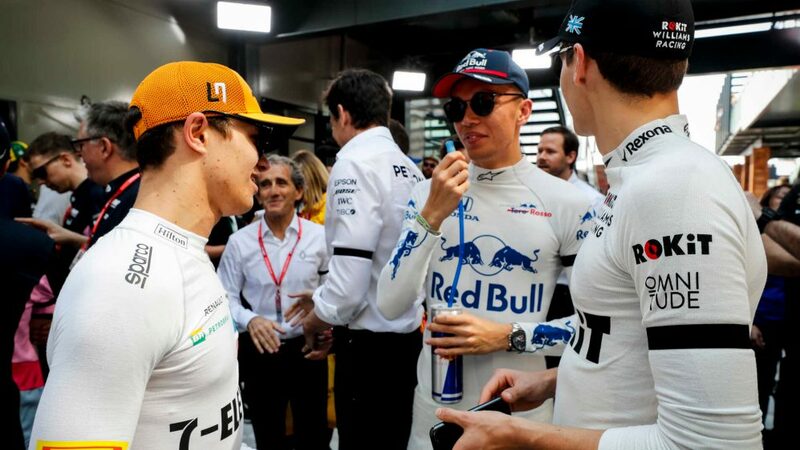 It would be a shame for both drivers and potentially hamper the team’s hopes of challenging McLaren for sixth in the constructors’ championship. This was not Kevin Magnussen’s finest weekend in 2018. In fact, it was arguably his worst in terms of pure performance. Devoid of answers after getting knocked out in Q1, things didn’t improve in the race. He spent most of the race trundling around at the back of the pack, the only real excitement coming when he was able to pass Brendon Hartley – but that was thanks largely to his unusual strategy of stopping three times. 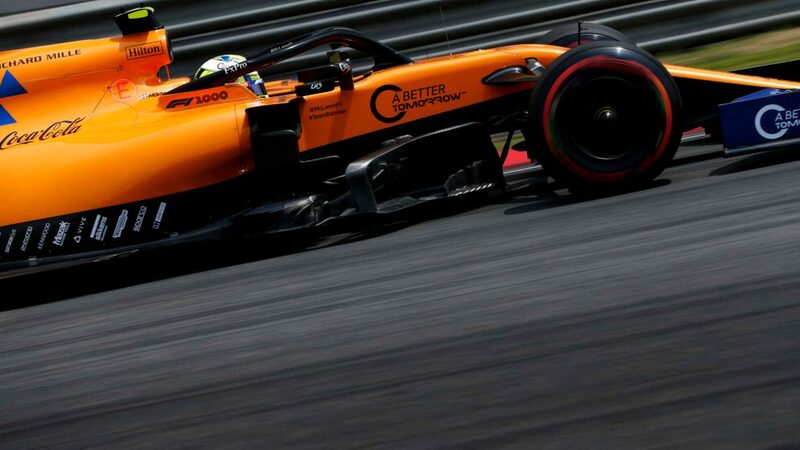 He did get the fastest lap, courtesy of running the hypersoft on low fuel in the closing stages, something which he admitted did warrant “perhaps a smile”. It was the first time he had achieved the feat and also a first for a Danish driver and Haas. But it counted for little on a weekend where the team looked capable of scoring points. After the highs of a double-points finish at Monza, Williams were brought back down to earth with a bang, as the turns of Marina Bay exposed the FW41’s flaws. 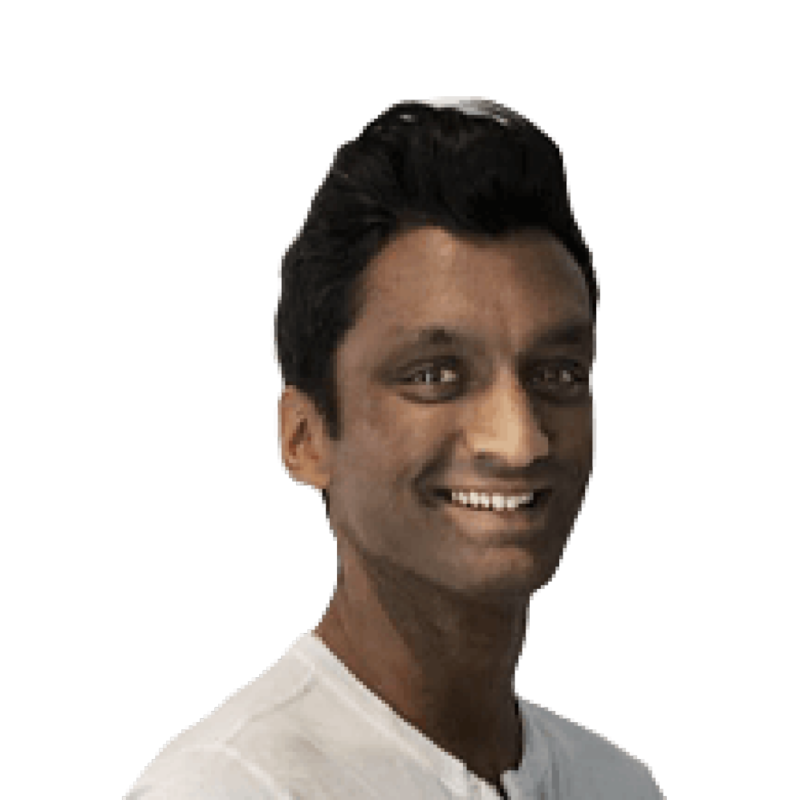 Chief Technical Officer Paddy Lowe admitted the team struggled to get the tyres into the right operating window in qualifying and though their pace on Sunday was better, points always looked out of reach. There was a chance with Sergey Sirotkin, after the Russian pitted early - having picked up damage following Ocon’s contact with the wall - to take the softs and run long. But his hopes ended when Perez hit him. Lance Stroll achieved a reasonable 14th place, courtesy of some slick team strategy and consistent driving, and both cars did get to the finish – but the British team really wants more. Five seconds off the pace in qualifying just doesn't cut the mustard. 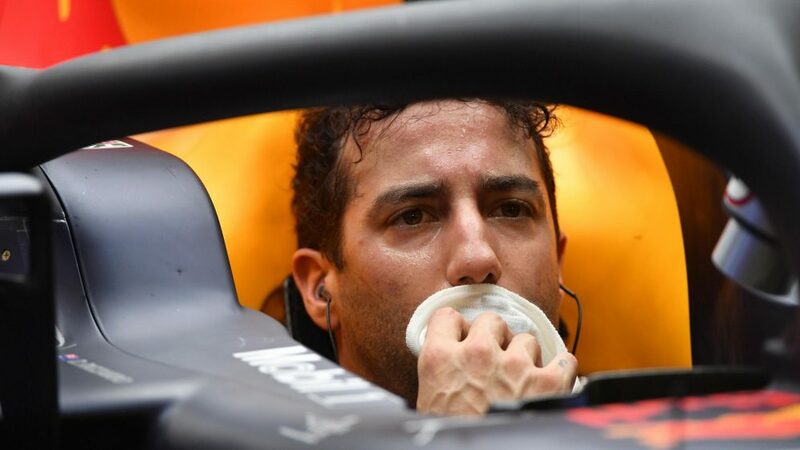 On one side, Ricciardo will have been pleased to see the chequered flag, having managed to do so only once in the last four races. But on the other side, he will be frustrated by his ultimate performance. 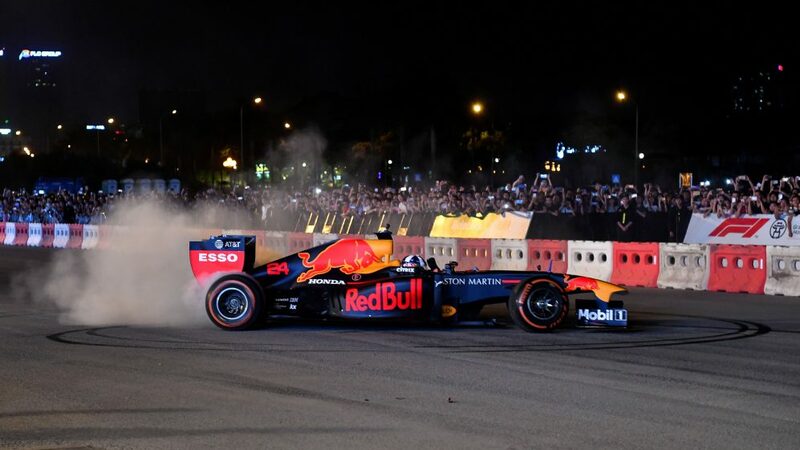 While team mate Verstappen put himself in the mix for a podium – and an outside shot of victory – Ricciardo never really looked likely to finish better than last of those in the top three teams. His race was essentially set when he could only manage sixth in qualifying, so hard it is to pass in Singapore. “We had good pace but a street circuit is only really great if you are on pole, otherwise it’s not only hard to overtake but even to follow,” said the Australian. Sixth, then, was the best he could do and ended a run of finishing every Singapore Grand Prix on the podium when driving a Red Bull. That fresh start at Renault next year probably can’t come soon enough.